Video discussing the most troubling problems of the LDS church that most Mormons don't know exist. MormonThink is concerned with truth. It is neither an anti-Mormon website nor an LDS apologist website. Instead, for each topic we present the strongest and most compelling arguments and explanations from both the critics and the defenders of the Church. It is then up to the reader to decide where the preponderance of the evidence lies and which side has dealt more fairly with the issue. Because we aim to be as complete and impartial as possible, we welcome contributions from readers who can strengthen the positions on either side. As a result, we present a range of viewpoints, privileging those we believe are the most accurate, consistent, and empirically valid. 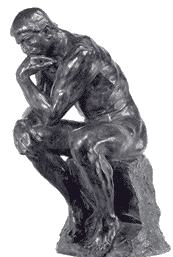 You may want to start by reading the Introduction to MormonThink. Award winning mormon scholar and author has 'finally' agreed to do a series of podcast/video interviews for mormon stories. Former bishop Bill Reel was just excommunicated by the LDS Church for sharing information about the LDS Church and its history on FaceBook and other internet sites. The local church leadership did not claim that any of Bill's evidence was false but rather it was an act of apostasy to publish this information in the way he did. The proceeding was apparently recorded so you view the excommunication documents and read the transcript here. This is the first of five videos (soon to be 6) where Dan Vogel discusses the Egyptian translation documents the LDS Church has in its possession. 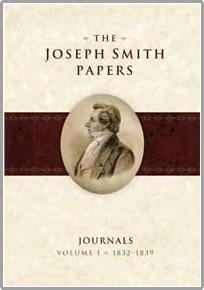 Amazon Summary: This book chronicles the evidence that early Mormon leaders, starting with Joseph Smith Sr., dealt in counterfeit money beginning in Vermont, and continuing throughout Joseph and Hyrum's careers. It places the Smith brothers in the early American context where counterfeiting networks and some of their CEO-like bosses posed as preachers. It is the only book of its kind that uncovers the problems counterfeiters caused in early America and what really happened before, during and after the Book of Mormon appeared on the scene. Both fact-based and fast moving, supported by more than 1400 footnotes and over 100 photos and illustrations. Based on nearly 10 years of research, conducted in Vermont, New York, Illinois, Missouri, and Utah. Popular author and Mormon historian Dan Vogel's newest video discusses the founding event of Mormonism - The First Vision. Popular author and Mormon historian Dan Vogel's newest video discusses Joseph Smith's polyandrous marriages. Of the 33 plus women Mormon founder Joseph Smith married, about 14 were already married to other men. This created polyandrous situations in which these women had two husbands. Some Mormon apologists have tried to defend Joseph Smith by arguing that most of the polyandrous marriages were merely ceremonial and intended for the next life only. In this the first of a two-part video, I will discuss the case of Sylvia Sessions Lyon, who believed that her daughter Josephine was the biological daughter of Joseph Smith but through DNA was recently disproved. This has turned out to be the best evidence for sexual polyandry. In a second video I will discuss the other polyandrous wives of Joseph Smith.